As a keen photographer and lover of things old and unusual, it was a very interesting read. A couple of essays started the book off, but the bulk of it was some fantastic images, all captured artfully on Polaroid film. There were some gorgeous shots in there, all part of a collection built up by the Polaroid Corporation over many years. It seems that in the past, the company took creative photography using its products very seriously, and made plenty of grants, in cash, film and equipment, to some very prominent photographers – including Ansel Adams. Sadly, Polaroid’s history in the fifteen years or so since the book was published has been extremely rocky, and the trademark has been bought and sold several times. It’s ended up on some decidedly awful products, and the cameras and films as we knew them disappeared about ten years ago. It seems that the Polaroid Collections of Photography have been broken up and sold, which is very sad. A few years ago, though, the Impossible Project was set up to rescue Polaroid’s closed film factory in the Netherlands, and after some experimentation, a new range of films was launched. I tried a few – the early ones were awful, but they did improve a bit. After being dormant for a while, Impossible purchased the rights to use the Polaroid brand again, and the films are now known as Polaroid Originals, and a new camera has been launched. All well and good, but sadly, having tried some film recently, I’m still not sure it’s any good. Here’s a recent snap, which I admit has no artistic value, but you’ll see the quality really isn’t very good. Streaks and uneven, lacklustre colours abound. After leafing through the Polaroid Book, I was inspired to try something artistic, but it was less successful. I suppose I could give it an artistic title – how about “My Inner Darkness”? 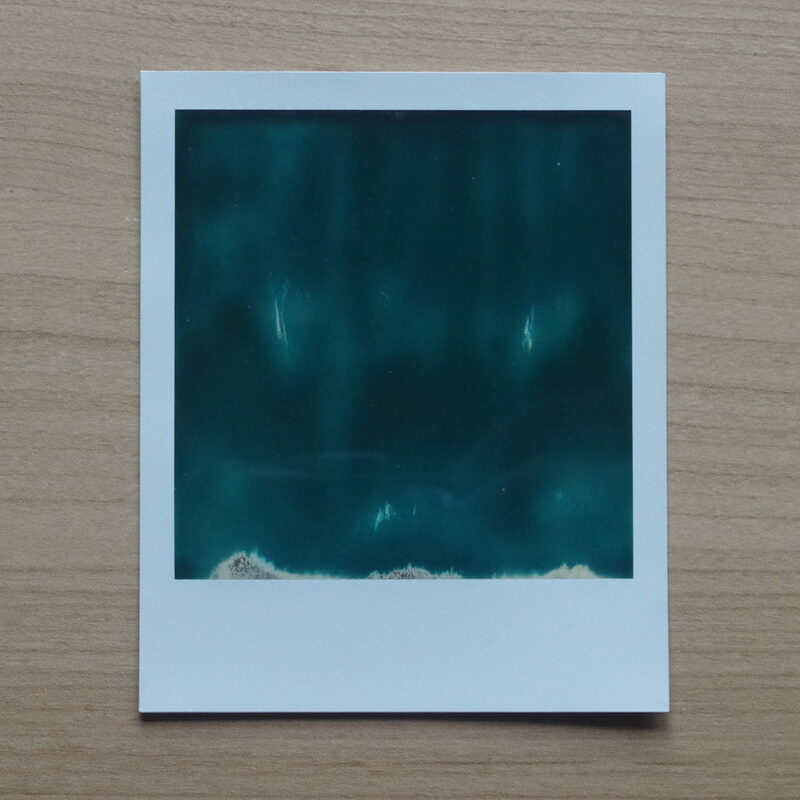 It’s such a shame that modern Polaroids are so dodgy. The old stuff really was good, and the new film feels so lifeless and flat, even in bright conditions. The best image I got recently was on a long-expired film pack of pre-bankruptcy origin from about 2005. 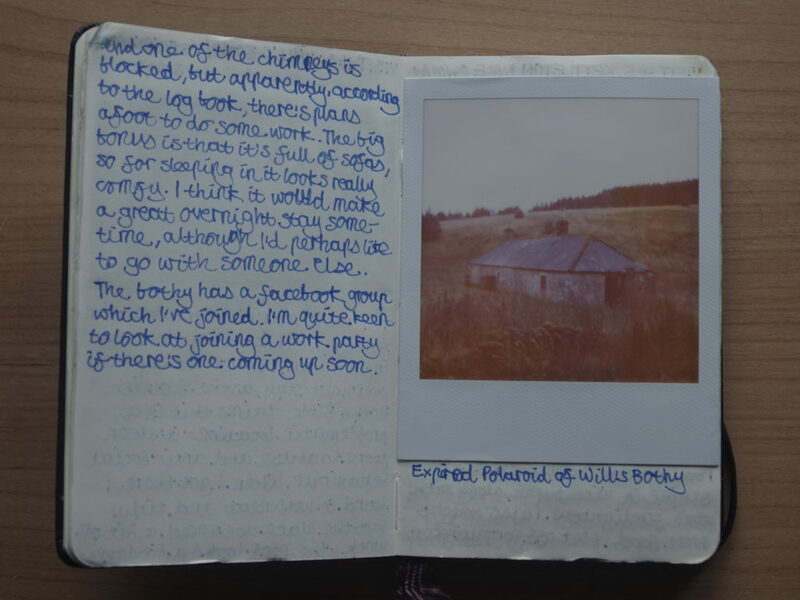 Here’s a shot from last year, that graces the pages of my bothy diary. 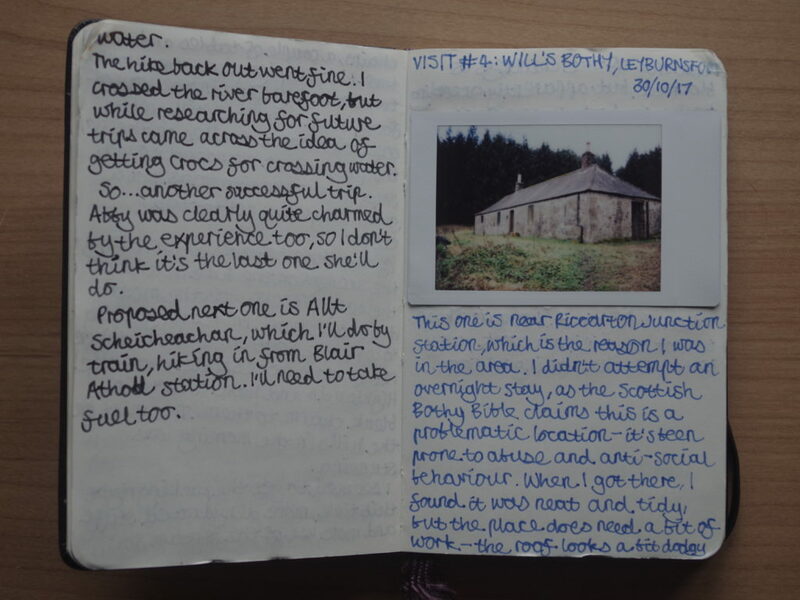 I use Instax for most of my bothy diary shots, as it’s technically much better. 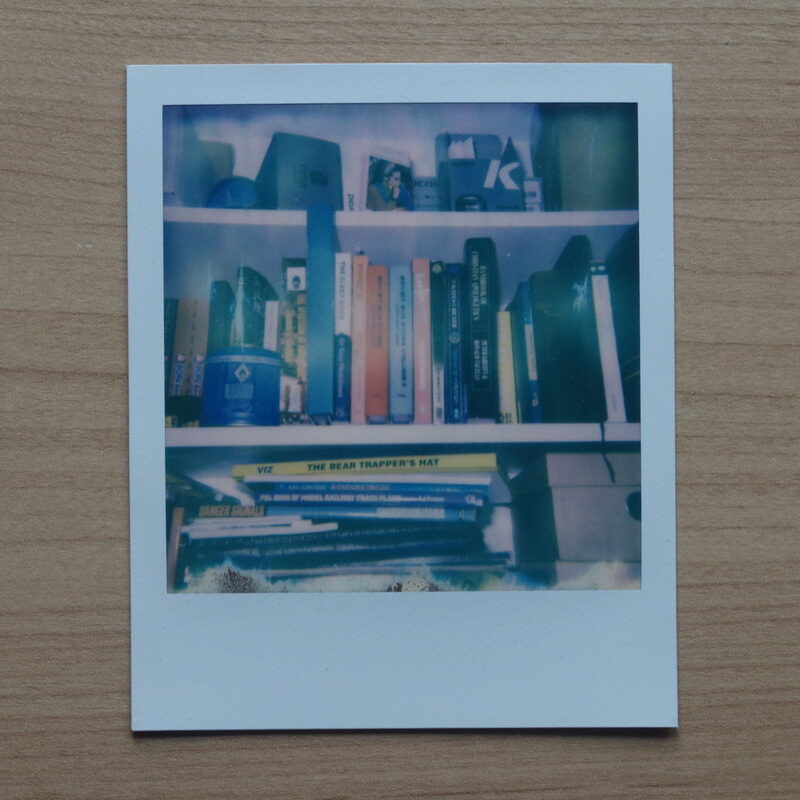 There’s something far more clinical about Instax, and the Instax Mini format is very small, but the photos cost about 70p each, compared to over £2 with Polaroid, and each time I press the button on my Instax Mini 70, I do actually feel I’m going to get an image that works and looks half-decent. It may not be artistic, but it’ll do what it’s meant to, and grace the pages of my little book. I want to like Polaroid, I really do, but until they can improve their film to have the snappy colours and affordability of the past generation, it’s too uncertain and too expensive to use with any regularity. The black and white versions are better, but it’s still far from stable or easy to get good results out of. This doesn’t appear to trouble the hipsters who are into Lomography, although perhaps they don’t know any better. I remember Polaroid when it worked. 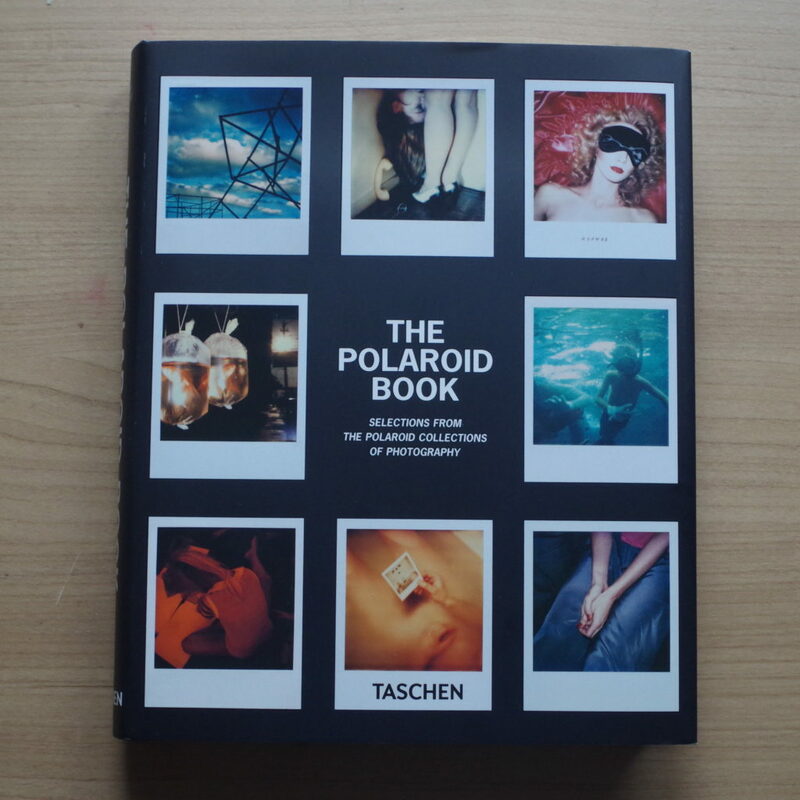 I suppose it’s a casualty of the digital onslaught, as were many other beloved incarnations of analogue photography, but Polaroid can be remembered for its past glories, and this book celebrates them in fine style.